The end of the world is here! Emerging from the devastation of a global meteor strike, aliens swarm the landscape and ravage the planet. Everyday people must stand together and fight back with a wide variety of weapons, supplies and defenses as they battle through the towns and wilderness of the Pacific Northwest. 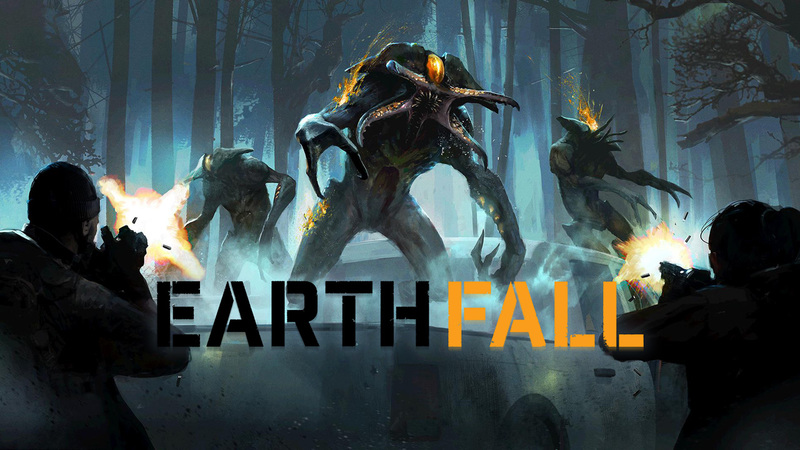 Earthfall is a co-operative shooter for up to four players. Using team-based tactics to fortify holdouts and complete objectives, players must work together to survive. So gather your friends, load your weapons and grab your portable defenses and work together as a team to battle through swarms of ferocious aliens. Complete objectives, fortify and defend holdouts and use 3D printers to create more weapons, barricades and turrets to get the job done by slaughtering the alien scum through 10 epic levels full of brutal combat and rich lore. – Fight Together: Cooperative Action For up to 4 Players – Team up with your friends as a variety of deadly aliens test your skills as the intelligent spawning system reacts to you and your team. Watch each other’s backs! – Discover the World of Earthfall: Plot-driven level objectives keep the pace fast and frenetic without sacrificing storytelling. – True Co-Op: Drop-in, drop-out Multiplayer – start solo, call in friends for backup, catch dinner between matches; A.I. bots fill in for missing teammates to ensure every team can join the resistance. – Play Your Way: Use powerful weapons or set up your defenses to counter the incoming hordes of aliens trying to make you their lunch. – Fight on Your Terms: Print portable barricade kits and jury rig them into traps to slow down the alien swarm. – Get Tactical: Deploy devastating manned turrets or use auto targeting turrets designed to mow down the enemy.